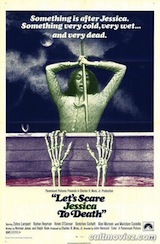 Halloween Spotlight: ABC NBC & CBS Movies of the Week–the year is 1973 🎃 13 Fearful Tele-Frights!! 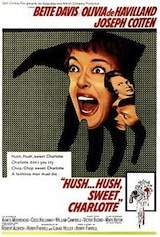 The Cat Creature was directed by horror film icon Curtis Harrington— Night Tide (1961), Queen of Blood (1966), Games (1967), How Awful About Allan (1970) tv movie, What’s the Matter with Helen (1971), Whoever Slew Auntie Roo (1972), The Killing Kind (1973), Killer Bees (1974) tv movie, The Dead Don’t Die (1975) tv movie also directed by Curtis Harrington, Ruby (1977), Devil Dog: The Hound of Hell (1978) tv movie. 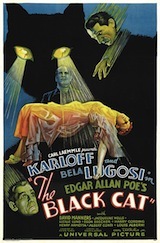 The Cat Creature was scripted by Robert Bloch based on a story by producers Douglas S. Cramer , Wilfred Lloyd Baumes and writer Bloch himself. From Nice Guys Don’t Work in Hollywood written by Curtis Harrington -he talks about how different television executives’ mind-set for tele-films are than major motion picture executives. An estate appraiser Frank Lucas (Kent Smith) comes to catalogue a private collection of Egyptian relic, the inventory at an estate –among the deceased’s possessions is an Egyptian mummy adorned with splendid regalia –wearing a large amulet around it’s neck and topped the golden head of the cat Goddess Bast. Just to be clear as a person who worships cats–The story of The Cat Creature is a creation for a horror tele-play that has no foundation in historical fact. Bast was not a murderous cat nor an evil deity. Bast represents protection and is a sacred symbol of that protection toward cats… She is not a monster! From Wikipedia–Bastet was a goddess in ancient Egyptian religion, worshiped as early as the 2nd Dynasty (2890 BC). As Bast, she was the goddess of warfare in Lower Egypt, the Nile River delta region, before the unification of the cultures of ancient Egypt. Her name is also translated as Baast, Ubaste, and Baset. In Greek mythology, she is also known as Ailuros. The uniting Egyptian cultures had deities that shared similar roles and usually the same imagery. In Upper Egypt, Sekhmet was the parallel warrior lioness deity. Often similar deities merged into one with the unification, but that did not occur with these deities having such strong roots in their cultures. Instead, these goddesses began to diverge. During the 22nd Dynasty (c. 945–715 BC), Bast had transformed from a lioness warrior deity into a major protector deity represented as a cat. Bastet, the name associated with this later identity, is the name commonly used by scholars today to refer to this deity. Shortly after Lucas leaves, a thief Joe Sung played by Keye Luke steals the amulet, the mummy disappears setting off a series of uncanny events and several mysterious murders. Frank Lucas is found dead and Lt. Marco (Stuart Whitman) calls in Prof. Roger Edmonds (David Hedison) as an expert to help identify the missing amulet. Joe Sung tries to pawn this ancient amulet at The Sorcerers Shop an occult shop owned and run by Hester Black (Gale Sondergaard). After Black’s young salesgirl is murdered in the same fashion as Frank Lucas, she hires a new girl to work in her shop. Enter, Rena Carter (Meredith Baxter) who gets pulled into the mysterious happenings and begins a romance with Prof. Edmonds. The strange killings show the victims all baring the marks of a giant cat attack, as if they’ve been clawed to death. Is it the resurrection of the Goddess Bast who is committing these murders? Another bonus of this creepy tele-film is that it co-stars the wonderful Gale Sondergaard. as Hester Black the occult shop owner. Deal points out one of the prevailing great elements of The Cat Creature, it’s fabulous casting of course Stuart Whitman who is a tremendous actor, his appearances go all the way back to the early uncredited 50s classics like When Worlds Collide (1951) and Day the Earth Stood Still (1951) Whitman was nominated for an Academy Award for his startling performance in The Mark 1961, as a tormented man dealing with his repulsive impulse to molest children and his ultimate redemption. It was a risky role, that he inhabited with dignity and pathos. A prolific supportive actor and leading man he appeared in Cimarron Strip tv series from 1967-1968. One of my favorite films of his Shock Treatment (1964) was another powerfully nuanced portrayal of Dale Nelson an actor who is paid to infiltrate a mental hospital to expose a crazy psychiatrist Edwina Beighly played by the silky and sly Lauren Bacall. Stuart Whitman has appeared in stinkers too, like Night of the Lepus (1972) about giant mutant bunnies, eh not so much… in Jonathon Demme’s Crazy Mama 1975 with Cloris Leachman, and a very slick Italian cop thriller called Shadows in an Empty Room aka Blazing Magnums (1976). And since we’re celebrating these ‘tele-fright’ films of the 70s let’s just mention his other supporting roles, he plays a psychic looking for a missing husband in Revenge! (1971) with Shelley Winters as a deranged mother who lost her daughter and The Woman Hunter (1972). The supporting cameos are such a treat! Seeing Gale Sondergaard who is terrific as the occult shop owner Hester Black who while reading Professor Edmonds his tarot cards gets into a battle of the wills between skepticism and fanaticism. Sondergaard received the first Academy Award for Best Supporting Actress in Anthony Adverse (1936) I adore her as Emily in the Abbott & Costello romantic comedy The Time of Their Lives (1946) even then she was open to the spirit world! Sondergaard was one of the unfortunate actors who were targeted by HUAC, brought before them she refused to testify and was blacklisted from the industry for over 20 years. She returned in 1969, and The Cat Creature was her first ‘tele-fright’ (as writer David Deal puts it) of the 1970s. The Deputy Coroner (Milton Parsons) looks like a corpse himself, just one of the macabre details that Harrington likes to throw into his ‘horror of personality’ films and teleplays. Here he plays Frank Lucas the cat creature’s first victim. Ironic isn’t it! His other tele-frights include director Curtis Harrington’s How Awful About Allan (1970) starring Anthony Perkins, Julie Harris and Joan Hackett. He was also in The Night Stalker (1972) and The Disappearance of Flight 412 (1974). One of my all time favorites, is the lovable, ubiquitous the theatrical acrobat likes of Burgess Meredith who could inhabit the role from vagabond to thespian at times quixotic poetic tongued –the sharp, and saturnine character actor John Carradine who plays the manager of a sleazy hotel clerk. Carradine can make the smallest part enormously unforgettable and has graced many a tele-fright– Crowhaven Farm (1970), The Night Strangler ((1973) and Death at Love House (1976) Next to Boris Karloff and Vincent Price, I have such a sweet tooth for John Carradine and he’s another icon I’d love to feature here at The Last Drive In. Composer Leonard Rosenman is responsible for the score, he has won Oscars and Emmys for his compelling music, for instance Fantastic Voyage (1966), A Man Called Horse (1970) Beneath the Planet of the Apes (1970) Race with the Devil (1975), Bound for Glory (1976) and supplied the poignant music for the dark disturbing psychological mini-series starring Sally Field–Sybil (1976). He also added his music to other tele-fright films such as Vanished (1971) The Phantom of Hollywood (1974) and The Possessed (1977) starring wonderful supporting actress of the 1970s Joan Hackett. Though I am a huge fan of the directors body of work, I have to look away from Harrington’s predilection to either kill off cats or make them look sinister in his films, so avoid The Killing Kind (1973) with Ann Southern or if you love rabbits lets not forget the poor bunnies in Whats The Matter With Helen (1971). Also the sound the cat creature makes doesn’t sound anything like a growling menacing cat, it sounds like an old man who smokes too many cigars and needs to spit up his oatmeal and prunes. Satan Has Returned For Her! Directed by Jeannot Szwarc and screenplay written by writer/director Collin Higgin’s whose credits include the cult film starring Bud Cort and Ruth Gordon and one of my personal favorite films–Harold and Maude (1971), he also penned the memorable feminist comedy classic Nine to Five (1980) starring Dolly Parton, Lily Tomlin, and Jane Fonda. Busy 70s television Canadian born actress –with the girl next door beauty –Belinda J. Montgomery plays Diane Shaw, whose mother has died, leaving her with the revelation that she is actually the daughter of Satan. Diane’s mother Alice Shaw (Diane Ladd) had carnal knowledge with the prince of darkness and Diane is the product of that unholy union. Alice was also friends and worshiped Satan with Lilith who befriends and lures our wayward devil waif into a web of suspense as she spirals toward her fate. Naturally as the working formula would suggest Diane is then pursued by devil worshipers headed by Lilith Malone played by the grand lady herself, Shelley Winters. Of course there are elements that pay tribute to the far superior classic pre-occupation with devil cults and paranoia in the city Roman Polanski/William Castle’s Rosemary’s Baby (1968) brought to life by the stunning performance by Mia Farrow, and the presence of such greats as Ruth Gordon, Sidney Blackmer, Ralph Bellamy, Patsy Kelly and Maurice Evans. Shelley Winters having a Ruth Gordon/Minnie Castavet moment!!! 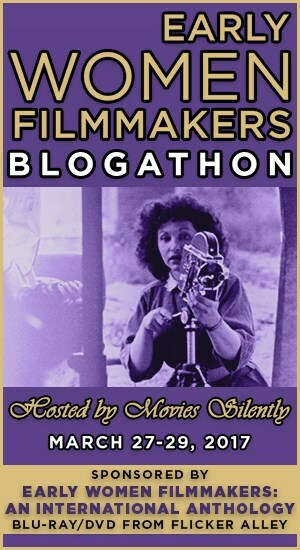 First off, The Devil’s Daughter is still entertaining to watch, I adore Belinda J. Montgomery and I could watch Shelley Winters bring in her mail. She’s been lighting up the screen since she played the neurotic Jewish mother Faye Lapinsky in director Paul Mazursky’s sublime Next Stop Greenwich Village (1976) to watching her as Belle Rosen who swims under treacherous waters in The Poseidon Adventure (1972) , as she envision Ma’ Kate Barker in Roger Corman’s Bloody Mama (1970) or the tragic Helen Hill/Martin in Curtis Harrington’s gruesome horror of personality thriller What’s the Matter with Helen (1971) as the bellicose Mrs. Armstrong in Bernard Gerard’s The Mad Room (1969) as the vengeful and deranged mother in the tele-fright film Revenge! (1971) going back to the luckless love-sick and doomed Alice Tripp in A Place in the Sun (1951), as the delightful singer Binky Gay in Phone Call from a Stranger (1952), the sympathetic Terry Stewart in William Castle’s Johnny Stool Pigeon (1949) or the gutsy and classy torch singer –Joy Carroll alongside Frank Sinatra in the dazzling musical noir film Meet Danny Wilson (1951)…! there it is I just adore Shelley Winters! Belinda J. Montgomery was one of the more prevalent actresses in the 70s teleplays, like Season Hubley who looked fresh scrubbed and awfully pretty but could play it all damaged and less than pure if you know what I mean. The Devil’s Daughter plays like a dark comedy, with a surprisingly pessimistic or should I say fatalistic ending, not unlike it’s finer forerunner Rosemary’s Baby. 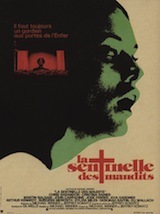 Directed by Jeannot Szwarc had started out his career working in television and has directed many popular contemporary television series link to IMBd to see his complete credits, in the late 60s and 1970s he worked on Rod Serling’s television horror anthology series from 1969-1973 Night Gallery. If you’re familiar with the series you’ll recognize the painting of Satan that emblazon’s Lilith’s living room wall, could be a tout to the series that utilized artwork of art director Thomas J. Wright who painted all of the paintings used to introduce each story. Szwarc directed a the ‘tele-fright’few Night of Terror (1972) and in 1973 directed the Lovely But Lethal episode of Columbo starring Vera Miles. Some of his notable theatrical releases – Bug (1975), Jaws 2 and the romantic fantasy Somewhere in Time (1980). Film star Joseph Cotten plays Judge Weatherby, Martha Scott as Mrs. Stone, Lucille Benson ( a quirky character actress who was great at playing batty old ladies) as Janet Poole and Thelma Carpenter as Margaret Poole curious twins, a pair that reminds me of the odd relationship between Sylvia Miles as Gerde Engstrom and Beverly D’Angelo as Sandra in Michael Winner’s The Sentinel (1977) which I am highlighting this Halloween month of October! The Poole sisters dress alike, Janet is white and Margaret is black, and they have cats with opposite colors. The persnickety Abe Vigoda (the irascible Detective Fish from tv’s Barney Miller) plays Alikhine an expert in ancient art of dance, Robert Corthwaite (the fanatical scientist intent on idolizing the superiority of the super carrot in The Thing from Another World 1951) plays pastor Dixon. And much like the climax of Rosemary’s Baby there is the ensemble of Satanists seen in Lilith’s scrapbook of yesteryear, the cult standing around in living rooms in their robes posing for a the photograph. Diane struggles to fight back her legacy as the Devil’s own daughter as she struggles with nightmares, manifests her inherited evil nature and wearing her ring with the strange insignia, mentally impels a young boy to walk out into traffic, nearly getting him run down by a car. Don’t Be Afraid of the Dark is one of the most remembered television horror films of the 1970s. It no doubt has left a lasting impression with so many of us. Enough so, that director Guillermo Del Toro remade it with more teeth and polished effects in 2010, renewing a whole revitalized generation of fans of the story and mood of the piece in all it’s palpitating unreality. That’s why it has maintained such a cult status all these years. The creepy atmosphere is partly credited to director John Newland who wasn’t a stranger to stories of the macabre and uncanny as he developed the late 50s series One Step Beyond. which dealt with real life experiences with the uncanny and the supernatural. He also had a hand in directing several of Boris Karloff’s anthology series that blended mystery, horror and noir in his 60s series Thriller. I love the color palate by set designer James Cane–the purple and blue tones, the reds and pinks, the golds and browns, the lighting and set design is a rich visual set piece to work within the modern ‘things that go bump in the night’ trope. Newland worked steadily through the 60s and 70s with Karloff on Thriller and then with Rod Serling on Night Gallery. In Don’t Be Afraid of the Dark, director Newland has such a grasp on what is eerie and spooky in the classical sense delivers an atmosphere that is rich with a wonderful color pallet. He produces a simple story with spine tingling chills, that are often missing today. Newland’s device works great often due to the lighting and the quick glimpses, as you just catch aspects of these little menaces, rather than have them appear for long periods of time on camera. Another creepy mechanism that I find startling is a device within the make-up developed by Michael Hancock (The Omega Man 1971, Deliverance 1972, Altered States 1980, Se7en 1995). where the creatures speak but their mouths do not move, it is as if the voices come from behind their faces. It’s an odd effect, and though it lacks the virtual ‘teeth’ that Del Toro’s savage creatures have, I am filled with such nostalgic shivers for the old look of things. The kitschy decorating for instance. The creature masks also remind me of something you’d see in The Twlight Zone, episode of Eye of the Beholder, in the same way make up artist William Tuttle created masks where their mouths didn’t move when they spoke. The effect just works. The three little devil imps with their shriveled scowling faces and piercing eyes and creep-tastical voices are among the most iconic and remembered creatures from the 1970s. Don’t Be Afraid of the Dark is “lit like a horror movie–pools of light glow amidst shrouds of darkness and mysterious shadows abound” “Even a darkened party scene is justified as reticence to reveal the house remodeling underway. The truth is fear of the dark is universal., especially when prune-face goblins tug at our bedclothes.”- David Deal: Television Fright Films of the 1970s. Oh there’s plenty of opportunity and time to torment, hurt and and drag Sally down to hell. Sally, it’s too much fun to drive her mad, messing with the lights whiles she’s taking a shower, then leaving the straight razor on the dark bathroom floor, poking out from behind curtains and bookcases, peaking out of the floral arrangement at the haute dinner party intended to impress Alex’s boss, placing a chord across the steps hoping she’ll fall down the long staircase. Sally sees these little menaces everywhere but no one else does. Alex doesn’t even believe that it’s mice, the place was fumigated right before they moved in. After Alex has a fit and fires Mr. Harris for filling his wife with dread, he finally reaches out to him wanting to hear about the history of the house. Apparently, Mr. Harris tells Alex, that Sally’s grandfather was heard screaming in the study the night he disappeared presumably as he was being dragged down into the pits of hell. After that, the fireplace was bricked up and the ash pit bolted shut. The wicked little imps have been waiting all this time to be set free. The simplistic story, everyone at one time has been afraid of the darkness and the unseen terror that it holds and the beauty of this enduring film which moves along in a very quick pace that doesn’t seem rushed, nor empty. Each scene while at times frustrates from the standpoint of stupid things you don’t do if you feel you’re in danger, like at the height of the danger drawing ever so near, just lie down on the bed and take a nap, okay you’ve been drugged with the sleeping pills slipped into your coffee by those little creeps. You will forever ask yourself, go to a hotel, why not just get out of the house. You feel like you want to scream at Sally, get the hell out… now for the love of Mike! And by the end, it tickles you to finally see her being dragged and daunted. It’s hard to make out in the darkly lit scene but the goblins are climbing the stairs like a mountain. Alex and Sally experiencing martial woes and little devil imps in the suburbs! Kim Darby looks better than ever… no frowzy Sally here! Actually I read that originally actor George Hamilton was cast as Alex. The chemistry would not have been as well suited as Hutton’s disbelieving soul. Hamilton is too sharp an actor for Darby’s frowzy simple girl next door style. William Demarest gives a well suited supportive performance as the cranky handyman Mr. Harris who knows all to well about the secrets of that bedeviled house with it’s ancient wicked creatures lurking about. It is Sally’s friend Joan played by Barbara Anderson who finally believes Sally isn’t going mad. 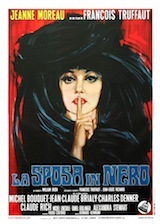 At first she suspects that it is a mad housewife deal, sexual frustration, martial woes, and just plain hysteria. Anderson won an Emmy for her role on Ironside as Officer Eve Whifield. Writer Nigel McKeand was sometime actor and was one of the demonic voices on the film. Prolific composer Billy Goldenberg (Columbo) is adept at both classical and pop music and has been in demand, providing music for film and television since the mid 60s. He tele-fright scores include Ritual of Evil (1970), Duel (1971), Terror on the Beach (1973), Reflections of Murder (1974), The Legend of Lizzie Borden (1975), The UFO Incident (1975) and One of My Wives is Missing (1976). One of the great aspects that work in Don’t Be Afraid of the Dark is the set direction by James Cane, the big old Victorian that creates the mood of a ‘chamber piece’ is so creepily garish with colors that clash, and a mix of neo-gothic, Louis VI and contemporary styles that even Sally decides to hire decorator Francisco Perez (Pedro Armendáriz Jr.) whom the dastardly gnomes accidentally cause to fall down the steps killing him. Still, Alex doesn’t quite see that something is wrong with the house. 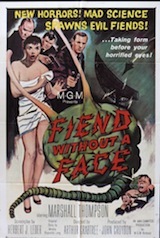 Even after Joan (Barbara Anderson) begins to believe Sally, the efforts made to protect her friend are sluggish and frustrating, just to make our skin crawl with anxiety as these wicked little things chant “we want you, we want you, we want you, we want you”, while Sally is destined to go the way of her grandfather. 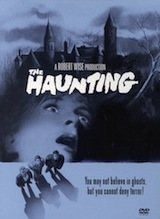 This special Movie of the Week chiller is brimming over with eerie atmosphere. Felix Silla, who played one of the creatures also played Cousin It in The Addams Family. 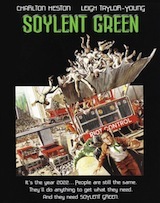 Directed by Philip Leacock with a screenplay by Richard Masterson. (I Am Legend, The Incredible Shrinking Man) This iconic writer/visionary has too many credits to list them all, link to IMBd to see the breadth of this genius’ work. She’s Alone. No One Believes Her. And There’s No Way Out! One of the most underrated character actresses Louise Latham! These uncooperative folks deny even seeing her husband at all. Then as the paranoia and panic builds someone drives off with her car, stranding her there and now are coming after her. Jean goes to the sheriff played by recognizable character actor Dana Elcar but she has no proof of a crime and tries to get him to believe her protect her from the danger she is in and of course find Bob. This familiar theme of the missing husband had been seen in tele-fright flicks such as Honeymoon with a Stranger 1969 starring Janet Leigh, and And No One Could Save Her 1973 starring Lee Remick. 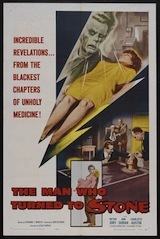 Richard Matheson’s teleplay, from his short story strikes that universal chord of paranoia, alienation, helplessness and abject fear stuck in the middle nowhere, working like a claustrophobic stage play Dying Room Only puts our heroine in an environment surrounded by hostility with authority figures who don’t believe you all while stuck in the middle of a lonely unforgiving desert. Cloris Leachman is one of THE most talented comedic actresses, just brings to mind her iconic role as Mary Tyler Moore’s narcissistic and fashionable friend Phyllis Lindstrom from 1970-1977 and her outre brilliant performance as Frau Blücher in Mel Brooks’ Young Frankenstein (1974). Ross Martin best known for Artemus Gordon of popular television series The Wild, Wild West, and as Garland Humphrey ‘Red’ Lynch Blake Edwards striking suspense thriller Experiment in Terror 1962, and his pretentious art critic Dale Kingston in Suitable for Framing on Columbo’s 1971 episode co-starring Kim Hunter. Ross is just superb as a menacing figure, showing up in another tele-fright film Skyway to Death, before his death of a heart attack in 1981. Dana Elcar appears to be a well-meaning but powerless sheriff… Is he part of the conspiracy? From David Deal’s Television Fright Films of the 1970s –“This story of frustration has the feel of dream logic at first as Jean’s world suddenly turns into a series of unexplainable roadblocks. Dying Room Only is a film that pushes the trope of paranoia and no-one will believe me. Director Philip Leacock who keeps the film tautly wound, especially during the first half. Leacock worked on many popular television shows of the 1960s. His tele-fright films in the 1970s include When Michael Calls (1972), and Killer on Board (1977). Composer Charles Fox was twice nominated for Oscars The Other Side of the Mountain, Foul Play, and won two Emmy’s both for Love American Style. 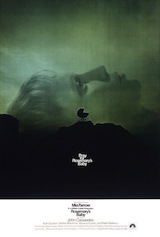 Among his credits are Barbarella 1968, The Green Slime 1968, The Drowning Pool 1975. I just learned that he wrote Killing Me Softly with His Song with lyrics by Norman Gimbel in collaboration with Lori Lieberman in 1972, made famous by amazing songstress Roberta Flack, who gives the most stunning rendition. Architect Alan O’Neill (Roy Thinnes) appropriates the remains of a cursed abbey from his wife’s familial state in England, loads them onto a plane with the intention of flying them to America and using them in their home. During all this time it also happens to be the night of the summer solstice and I might add, a full moon. A foreboding glowing moon that shines over Heathrow Airport. Once the stones and pieces of the abbey are stowed away safely in the cargo hold, ten passengers board the red-eye flight. Buddy Ebsen as millionaire Glenn Farlee, Tammy Grimes as Mrs. Pinder, Lynn Loring as Manya Kovalik, Jane Merrow as Alan O’Neill’s wife Sheila, France Nuyen as model Annalik, William Shatner as faithless minister Paul Kovalik, Paul Winfield as Dr. Enkalla, H.M Wynant as Frank Driscoll, a little girl Jodi played by Mia Bendixsen who is flying alone with her doll. And then there’s the crew Chuck Connors as Captain Ernie Slade, Will Hutchins as cowboy Steve Holcolm, Darleen Carr as flight attendant Margo, and Russell Johnson as Jim Hawley. Once everyone settles in, the spirits of the long dead druids break free in the cargo hold and threaten to take over the plane in order to claim their human sacrifice. The tension among the passengers starts to unfold as they try to figure out what the menace is, and what it wants. The ensemble of this horror film might not be too proud of it but it is quite a diverse cast indeed. Tammy Grimes is deliciously eerie in her unbounded knowledge of ancient cults, Lynn Loring as usual is perfectly intense and tightly wound. It’s all so outlandish and campy. Jane Merrow from Hands of the Ripper (1971) plays architect O’Neill’s wife, Sheila. Among the other great actors is millionaire Glen Farlee played by Buddy Ebsen, a Mrs. Pinder Tammy Grimes, who seems too in sync with all things supernatural and sort of sympatico with the druid mythology. There’s a man of god, who has fallen and is having a crisis of faith- drowning himself in alcohol and self pity. Who else could play that without breaking a sweat by the brilliant to happily hammy master most likely hand picked just to re-visit his role as the tormented man on a plane William Shatner as Paul Klovalik… Shatner is not at all a stranger to being terrorized on a plane by strange creatures–if we just think back to a decade before on The Twilight Zone episode Nightmare at 20,000 Feet that aired 10 years before in 1963. Shatner played Bob Wilson crazed by his visions of a monster on the wing of the plane, daunted by a gremlin who is tearing the wing and tinkering with the engine of a plane when no one, not even his wife will believe him much to the fate of the flight. 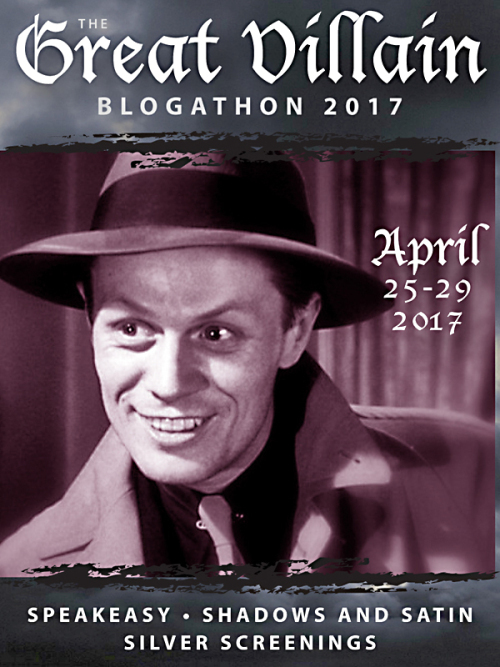 A film like Hitchcock’s Lifeboat (1944) , creates a world of tension as the variety of personalities each respond to the crisis in their own way, not to compare this Movie of the Week with the masterpiece of cinema, Horror at 37,000 Feet is itself an ensemble morality play as much as it is a supernatural story. The tensions, conflicts and personal dynamics are tested by the imminent danger and the doomed fate they are faced with. Things start to go wrong as soon as the flight leaves London as the plane is being mysteriously suspended in mid air going around and around in circles. The mysterious and uncanny entity smashes out of it’s crate in the cargo hold and freezes Mrs Pinder’s dog Damon. The cold then begins to manifest itself inside the cabin. A green boiling oozing Lovecraftian kind of menace reveals itself. When Captain Slade and Hawley investigate, Hawley is quick-frozen like a bag of organic cauliflower. The evil power rips through the carpeted floor of the plane and an ugly greenish brown ooze bubbles and smokes as ancient unintelligible voices chant. That is how the malevolent entity shows its presence. An evil unspeakable horror that you cannot really see. From the old school of less is more, and it’s what you don’t see that creates more dread. It’s more creepy and effective that way. Sheila O’Neill (Jane Merrow), whose family built the abbey passes out and speaks Latin and hears voices that torment her, calling her name, which prompts Mrs. Pinder to explain a bit about what’s going on. It seems the abbey was built on a sacred grove of the druids who had performed human sacrifices. Every hundred years at the solstice, the spirits of the ancient druids come back demanding their sacrifice. Mrs. Pinder asserts that it’s Sheila they want. The panic sets in as everyone jumps to wild conclusions for self preservation’s sake, They decide to make a pseudo Sheila, attaching her fingernail clippings and strands of her hair to the little Jodi’s creepy doll. They paint it’s lips red with Sheila’s lipstick. It’s a grotesque site. They try offering that to the spirits who are drawing nearer, only being held off by a fire the passengers have lit, and their safe space is growing smaller with each hour. They try to substitute the doll for Sheila as their sacrifice. The druids aren’t buying it! Glen Farlee (Buddy Ebsen) has a soliloquy “Maybe she’s right. What other explanation could there be. Everything’s gone crazy!” The plan doesn’t work so the group decides to light a fire on the plane to keep the evil spirits away, and soon the fire burns out and all looks grim. Of course Shatner stands out in this film as the faithless, pessimistic, nihilist defrocked priest Paul Klovalik as he drinks heavily and tries to shut off the chaos surrounding him, feeling helpless and hopeless. “The closer to heaven, the more discordant” and generally dismisses the rest of the passengers bitterly as fools and barbarians. Paul Kovalik: “You don’t need a priest, Mr. Farlee. You need a parachute…. Shatner certainly isn’t playing this kind of guy, that’s for sure! At the end Paul Klovalik does find a flicker of faith left and rises to the occasion. But will the ancient old ones, the druids get what they want? Her task is clear, to find an confront her own murderer! Aired November 5, 1973, ABC Movie of the Week. Meredith Baxter was in the midst of her breakthrough television series Bridget Loves Bernie in 1972 when she did this film. She also appeared in Ben in 1972 and the other film I covered directed by Harrington, The Cat Creature. Her most famous roles aside from tele-films were of course as Nancy on the thoughtful nighttime drama Family 1976-1980 starring Sada Thompson and Kristy McNichol then she went on to play Elyse on Family Ties in the 80s. Peyton Place alumnus the handsome Christopher Connelly plays Adam Reston and familiar character actor Charles Adiman plays Dr. Peter Bernard both are good at playing the perplexed husband routine. Connelly’s Adam Reston even helps the police in their investigation, playing an important part in solving the mystery. Dan Curtis favorite John Karlen plays Diana’s ex-husband David Hastings, the number one suspect in her death. George DiCenzo plays Dr. Palmer and Sally Kemp is Diana Bernard. Dan Curtis has executive producer credit on this film. and an un-credited nod for direction because several snippets of footage–including Diana’s car crash are taken from his tele-fright The Norliss Tapes, which aired the same year. 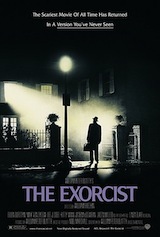 Some sources list the film as having aired on March 8 1974, some claim it was released in 1973. I’m choosing to include it in my feature here as a 1973 release. 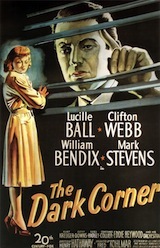 Director Burt Brinkerhoff was an actor, mainly on television in the 50s and 60s and this was his first film as director. He would go on to make the horror film Dogs, and yet another television adaptation of Frankenstein in 1987. The Possession of Joel Delaney came out in 1972 and The Reincarnation of Peter Proud came out in 1975, Audrey Rose came out in 1977. The subject of reincarnation was threaded throughout the 1970s as an appealing and uncanny, almost taboo trend.